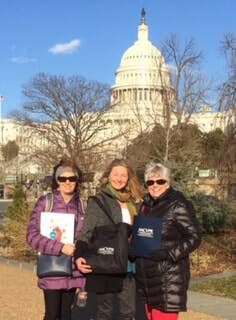 Missy Von Luehrthe (CSPR) and Lori Waddell, Julie Rounds (CSCR) and for advocating for California! Focus is on Advocacy: To request to Congress in 2019 is to seek support for legislation that would correct the unintended consequences of Section 603 of the Bipartisan Budget Act of 2015. This mandates payment reduction for hospital outpatient services that re-locate or open at an off-campus site. For cardiac and pulmonary rehabilitation services wanting to expand to improve patient access, this is a major barrier. You can get involved too! 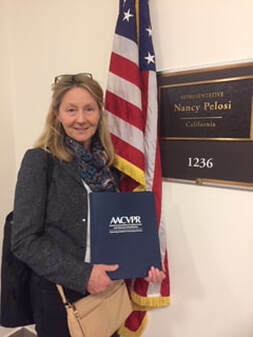 AACVPR website has wonderful resources for ​Day on the Hill (DOTH) 2019 from Home and Advocacy Day on the Hill.